Why do you want to work on this position? What do you consider your major successes and accomplishments in your last job? What was your biggest failure in social work so far? Where do you see social work (or a particular field of it) heading in the future? There are always cases we can do nothing about. Describe such a case from your experience. Here is a problem we have. Prepare a solution and describe it to us. You have ten minutes for preparation. Check the sample below, to see how this eBook can help you. Q. Why do you want to work on this position? Hint: Motivation of job candidates is one of the decisive factors in every interview. The interviewers want to hear that you care for their institution, and for the target group of people. I suggest you to talk about your desire to help people—the particular group of people you’d work with in your new job. On the top of that, you should not connect your job choice to the past, saying that you want to work as a social worker because you have graduated from social work. That answer would indicate a must, not a desire. Speak with enthusiasm about your mission in social work, and show them that you know why you apply for the job, and what you want to accomplish in it daily. I have always felt for homeless. The position you offer will allow me to spend time with them, so perhaps I can understand them better, and do even more to help them to re-socialize, and to possibly return back to normal way of life. On the top of that, the values of your organization resonate with my personal values, so this seems like a perfect position for me. I believe I can bring some value to this community, in which many young people struggle. I want to encourage them to ask the right question, and to see the bright side of life again. On the top of that, I am really good in working with young people, and believe I would thrive in this job. I have always worked as a care giver. This time around, in this stage of my life, the position you advertise sounds like the right choice for me. I believe to have the qualification, the desire, the experience, and the right attitude to work for you. I want to offer your clients all they need, not only in terms of physical support…. Q. What characterize a good social worker from your point of view? Hint: You can use our description of a great social worker (page 15). Good social workers are passionate about their jobs, they do them with love, and care for the needs of the people, and for the goals of the institution they work for. They are emphatic, good listener, etc (see page 15 for broader characteristic). Even if you do not meet the characteristics, it is still good to mention them. We all strive to improve in life (at least we should). Therefore it is good if they see that you understand what makes a good social worker, and that you try to become one. Good social worker is passionate about their job, they do it with love, care for the needs of the clients, and for the goals of their employer. They are empathic, good listener, and they always try to improve the way they do their work. They pay attention to individual needs of each client. I think I do not fulfill some of these characteristics right now, but I try my best to improve every day, and become a better social worker. It is a fascinating journey. Brilliant answers to twenty-five most common social work interview questions. Guide on how to identify the value you can bring to your employer, and how to demonstrate this value in an interview. Two winning interview strategies that will help you to stand out and make a great impression on your interviewers. All information from someone who has interviewed more than five hundred applicants for various positions in social work. That’s what I have for you today. Nothing more and nothing less. I do not want to waste your time with lengthy sales page, imaginary discounts or fake reviews, just like many people do on their websites, while trying to sell you various digital products. You read the sample, you know what the eBook is about, and certainly you can tell whether it will help you in your interview. I sincerely believe it will help you to get a job in social work. And you can read it easily in two or three hours, it’s 14,000 words. Only things that truly matter for your success in an interview. What is more, you have a risk free sixty days money back guarantee. If you don’t like my eBook for any reason, or no reason at all, just let me know (email me at ellen[at]socialworkinterviewquestions[dot]com) within 60 days and I will give you a full refund. Format: eBook (.pdf file format, you can read it on your desktop, tablet, smart phone, or kindle, and you can easily print it if you want). * After the payment you will be directed back to our website to download your Social Work Interview Guide. You will also receive a download link and instructions to your email, just to ensure that you will get the eBook without waiting, even if the redirect fails. If you can not see an option to pay with your credit/debit card once you click the check out button, click on “Create account with PayPal” or “Sign up”. PayPal will offer you an option to pay with your credit or debit card, without a need to register an account with them (you will pay as a PayPal guest). 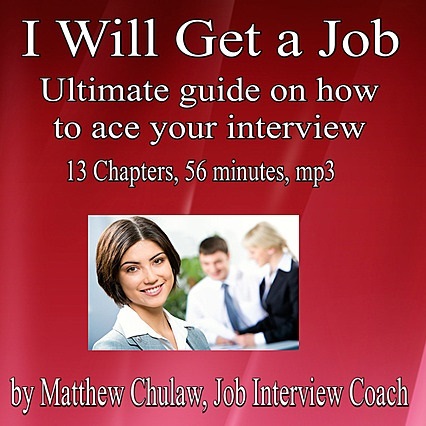 A popular audio recording from a reputable recruitment consultant from Europe. Mp3 format, one hour long. Perfectly applicable for social work interviews. 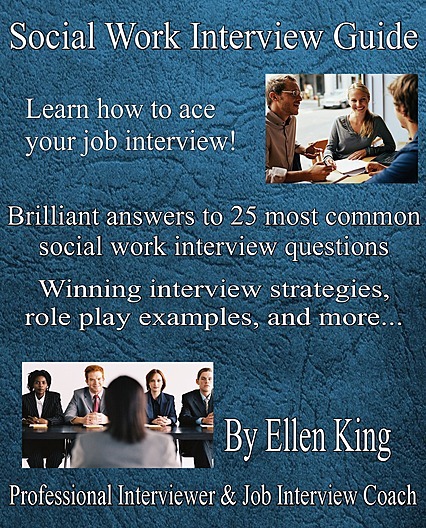 Buy Social Work Interview Guide today, and get these two priceless job interview success products for free. This is how the guarantee works: If you do not like the Social Work Interview Guide for any reason, or for no reason at all, just let me know within 60 days and I will give you a full refund. Drop me a message to my personal email address ellen[at]socialworkinterviewquestions[dot]com with your name and transaction details. No questions asked, just a full refund! Test it out for yourself. 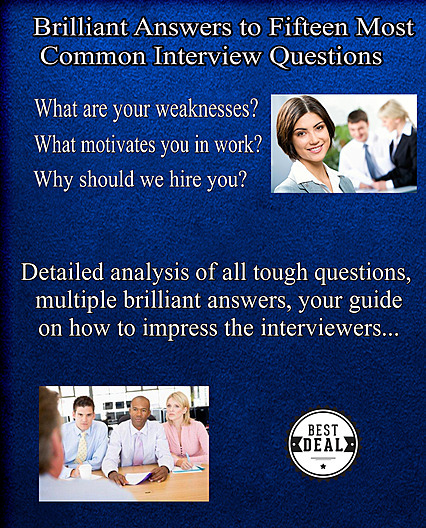 Try my professional Interview Guide in your next interview. Once you’ve tried it, I’m confident you’ll keep it forever and will be more than happy about your purchase. But if you are not happy, all you have to do is to ask for a refund. There is really nothing you can lose with your purchase. P.S. Send me a message to ellen[at]socialworkinterviewquestions.com, if you are still not sure how this guide will help you to get a job of a social worker, of if you have any questions. I try my best to answer all messages in less than twelve hours. After the payment you will be directed back to our website to download your Social Work Interview Guide. You will also receive a download link and instructions to your email, just to ensure that you will get the eBook without waiting, even if the redirect fails.